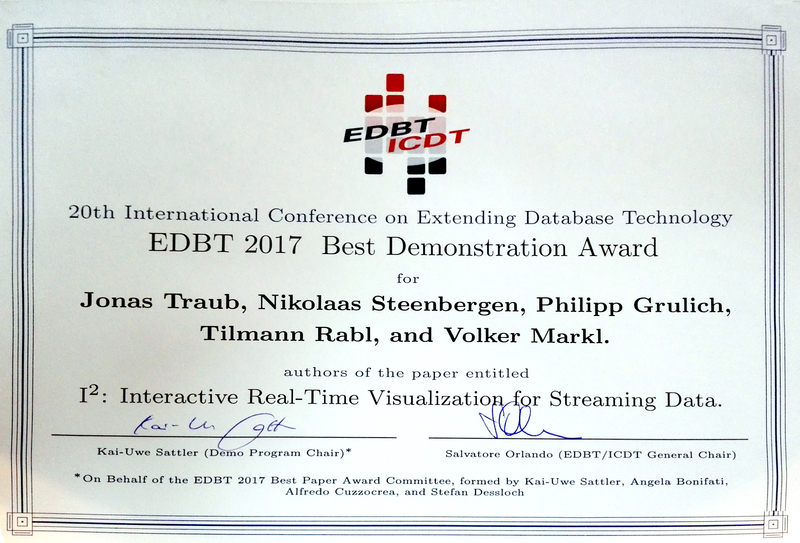 At the EDBT/ICDT 2017 Joint Conference in Venice, Italy, DIMA members presented the demonstration, I2: Interactive Real-Time Visualization for Streaming Data by Jonas Traub, Nikolaas Steenbergen, Philipp M. Grulich, Tilmann Rabl, and Volker Markl. Collocated with the EDBT/ICDE Conference 2017 the 1st International Workshop on Big Data Management in European Projects, EuroPro took place. 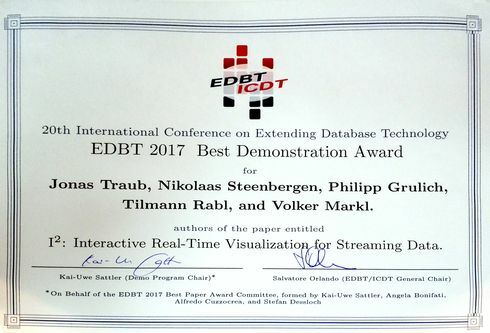 STREAMLINE -Streamlined Analysis of Data at Rest and Data in Motion, Philipp M. Grulich, Tilmann Rabl, Volker Markl, Csaba Sidló, and Andras Benczur. 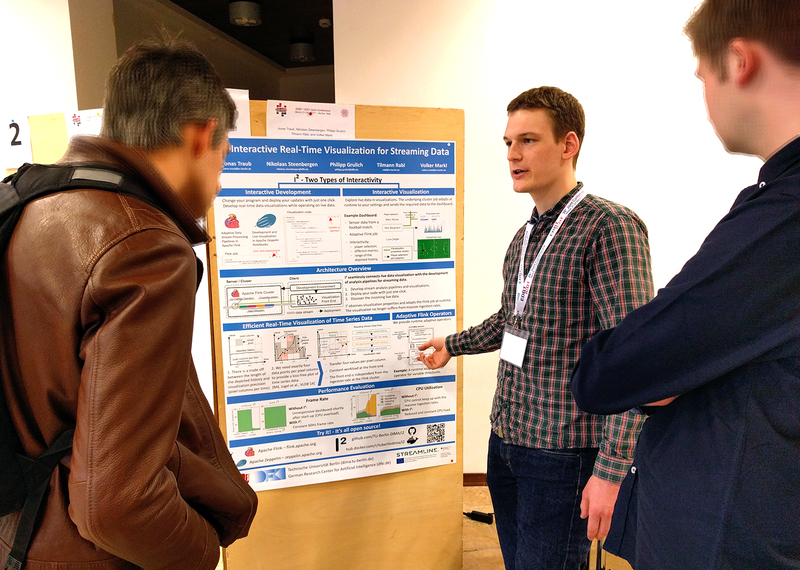 PROTEUS: Scalable Online Machine Learning for Predictive Analytics and Real-Time Interactive Visualization, Bonaventura Del Monte, Jeyhun Karimov, Alireza Rezaei Mahdiraji, Tilmann Rabl, and Volker Markl.